Recent stories in the press suggest that we can protect our bones by consuming more olive oil. Can that really be true? Age-related bone mass loss and decreased bone strength affects women and men alike are an important determinant of osteoporosis and fracture risk. Studies have shown that the incidence of osteoporosis in Europe is lower in the Mediterranean basin. The traditional Mediterranean diet, rich in fruits and vegetables, with a high intake of olives and olive oil could be one of the environmental factors underlying this difference. Virgin olive oil is produced from the first and second pressings of the olive fruit by the cold-pressing method (where no chemicals and only a small amount of heat are applied). It retains more of the important nutrients including antioxidant phenolic compounds. Dietary consumption of virgin olive oil in a Mediterranean diet typically ranges between 25–50 ml (2-3 tbl) per day. These phenolic compounds in olive oil are highly bioavailable in humans and have been shown to benefit health in multiple ways including reducing inflammation, lowering cholesterol but more importantly preventing the oxidation of cholesterol that can lead to atherosclerosis, it’s antioxidant properties also protect cells against free radical damage, it also helps the blood remain viscous thus preventing clots and the risk of stroke. Olive oil also has an anti-microbial effect that supports immunity in both respiratory and intestinal infections. It may also have anti-cancer effects for leukaemia, colon cancer and breast cancer. The study of olive oil in relation to bones, however, is relatively new. Olive oil is a complex compound made of fatty acids, vitamins, volatile oils and water soluble components. It is rich in monounsaturated fatty acids (mainly in the form of oleic acid). In addition, it contains small amounts of omega-6 linoleic acid. It contains a number of antioxidants including tyrosol and hydroxytyrosol, and their related compounds oleocanthal and oleuropein, as well as vitamin E.
General studies as far back as the 1980s suggested that the greatest protection for bones was obtained when there was a high dietary intake of monounsaturated fatty acids (MUFA) and a minimum amount of polyunsaturated fatty acids (PUFA) – which is the balance normally found in olive oil. The first known study of olive oil constituents in relation to bones was in 2008. In it, rats fed tyrosol and hydroxytyrosol, along with olive oil mill wastewater – a by-product of olive oil production, rich in micronutrients – showed significantly increased bone formation. 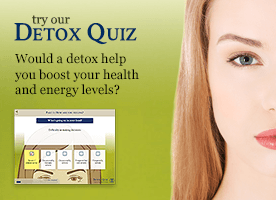 The authors suggested this was due to the antioxidant properties of the phenolic compounds. Olive oil has since been reported to aid the mineralization and development of bones. In a 2013 human study, consumption of a Mediterranean diet enriched with olive oil for two years was associated with increased blood osteocalcin concentrations, suggesting a protective effect on bone. For this study, published in the Journal of Clinical Endocrinology and Metabolism participants were elderly men without prior cardiovascular disease but having a diagnosis of type-2 diabetes or at least three cardiovascular risk factors, namely hypertension, dyslipidemia, or a family history of premature cardiovascular disease. The men were randomly assigned to three intervention groups: Mediterranean diet with mixed nuts, Mediterranean diet with virgin olive oil, and a low-fat diet. Biochemical measurements of osteocalcin, glucose, total cholesterol, HDL-cholesterol and triglycerides were performed at the beginning of the study and after two year follow-up. 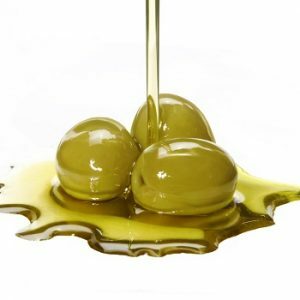 Researchers found that only consumption of the Mediterranean diet with olive oil was associated with a significant increase in the concentrations of total osteocalcin and other bone formation markers. There were also no significant changes in blood levels of calcium in subjects in the olive oil group, whereas blood calcium decreased significantly in the other two groups. In women estrogen is thought to be bone-protective and in some menopause can raise the risk of bone loss. However, animal studies in rats whose ovaries have been removed that olive oil consumption provides some protection against osteoporosis. In reality bone loss is complex and no single factor including estrogen is solely responsible. Levels of exercise, for example, are also important). Diet plays a significant role in maintaining healthy bones for which it is important to eat foods rich in calcium and vitamin D, as well as those containing phosphorus, magnesium, zinc, boron, iron, fluoride, and copper. Now, it seems, the good fats and antioxidants in olive oil have a role to play too.